This Perfect Binder adds that clean, professional, finishing touch to your documents. Not only are the binds strong (capable of withstanding 50 pounds of pull) but they are available in a number of colors and fully customizable. 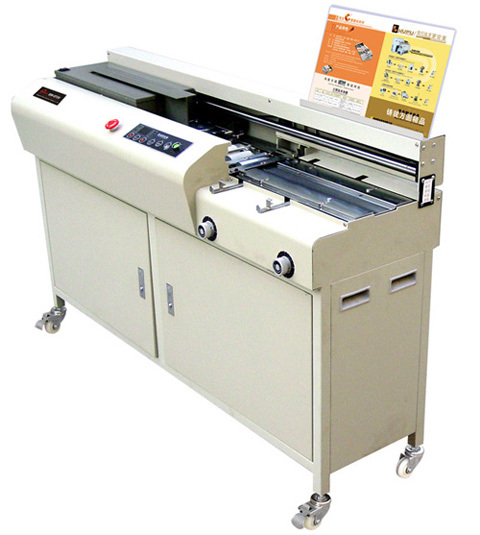 This machine ensures that your volumes, ranging from 3 to 350 pages, are held accurately, firmly, and permanently giving your documents the crisp presentation they deserve.